Yesterday, we were very lucky to have Mike, an ex professional BMX rider, visit our school. Mike lead an assembly for KS2 children where he talked about his past experiences as a professional BMX rider. Initially, Mike found BMX riding difficult however he explained how he approached each failure as an opportunity to learn (FLERN) and that was key to his success. He even taught Mr Morell some tricks! After Mike's inspiring assembly, the whole school was invited onto the playground to see Mike preform some of his amazing tricks. We were all amazed. The he invited some brave teachers up to be part of his demonstration! Well done, Mr Bailey, Mrs Blake, Miss Shah, Mr Jones, Mr Morell and Mrs Barwick! 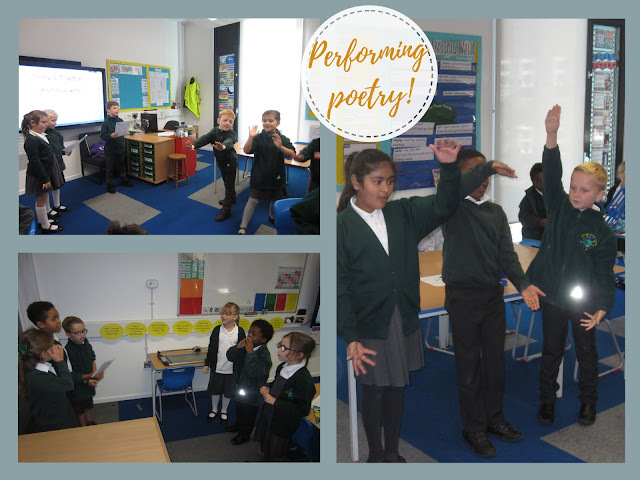 In the afternoon, Year 5 and Year 6 were really lucky as they had a workshop with Mike where they were able to learn some of his tricks. Thank you for visiting our school and for all the unforgettable experiences! Congratulations to the children who moved up on Planet Maths last week. And further congratulations to those children who moved up today. 3AK - English, Performing Poetry! We're all poets and we do know it. 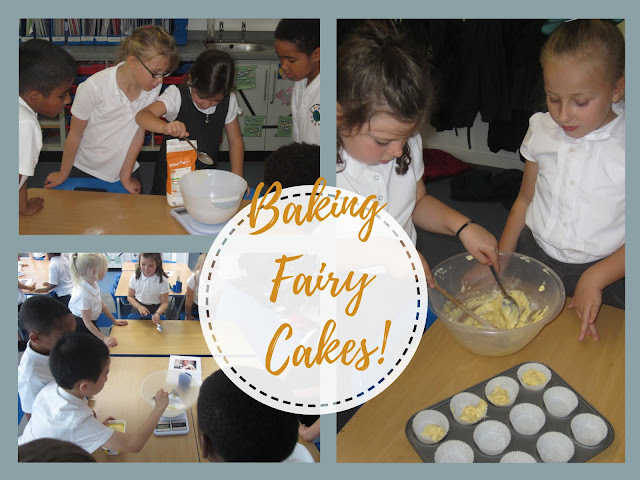 Today, we would have received 29 Hollywood handshakes with our marvellous fairy cakes! See them in all their glory on Friday! As part of our topic, we have been learning about what the trees will look like each season. As we are entering Autumn, we discussed that the leaves should be red, orange, yellow or brown. Will this be true for the trees in our playground? Year 1 went on an 'autumn walk' to look at the trees and see if we can find any autumn leaves. We discovered that many trees were still green as it is not officially autumn but we were very happy that we found many beautiful autumnal leaves! We came back to class and done some sponge printing in autumnal colours! We placed a leaf in the middle of the page and sponged around the leaf with the autumnal colours. Congratulations to all the children who were chosen by their teacher to be Star of the Week. On Friday, children in Years 3,4,5 and 6 were treated to an amazing Jazz performance by NYJO Jazz Messengers, organised by Havering Music school. The children (and some staff) thoroughly enjoyed the concert. Thank you for visiting our school! In science, Year 2 have been learning about the different life stages humans go through. 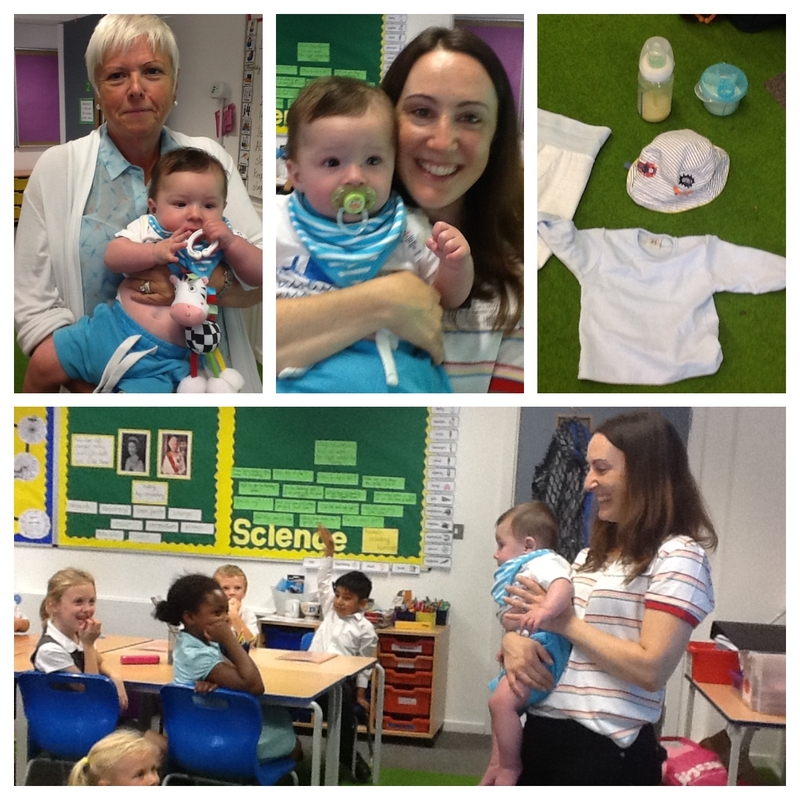 We have been investigating what we need to do to keep a baby healthy. Mrs Paget introduced Year 2 to Baby Ryan and told us all of the things she did to keep him healthy and answered all of our questions. 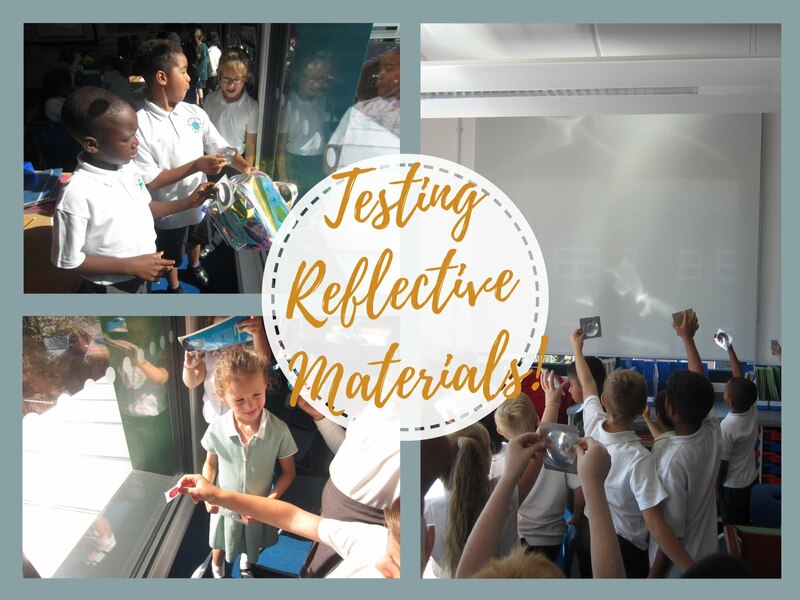 3AK - Science - Bathing in our own reflective light! In Science, we tested the reflective properties of different materials.